Tirana, The Capital City of Albania! Tirana, the capital city of Albania is just that, cosmopolitan with a mix of people that are steering toward the western fashion and lifestyle. 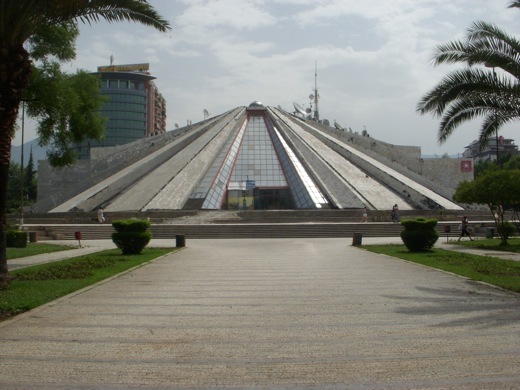 Tirana is a trendy city compared the many different areas of Albania. The center is dominated by the large statue of the Albanian hero Skanderbeg with a horseshoe of communistic style buildings, yet, Tirana is undergoing a major renovation from its communistic days. Within some aspects Tirana is a easy going city compared to other capital cities, with more educated people and less conservative compared to the country side, and very safe. 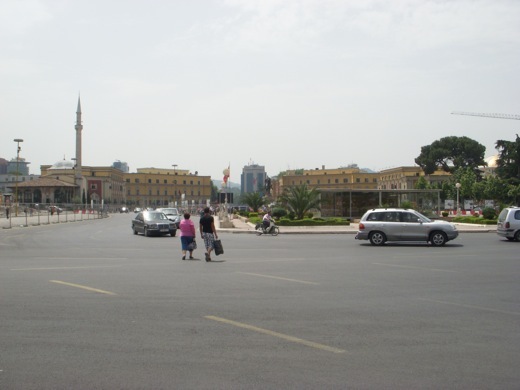 I visited Tirana for three nights last weekend, and there are many nice neighborhoods, and a few sites to visit. The biggest highlight for myself was going to see the Opera “Anne Boleyn” on Sunday night; the performance with a live orchestrate was just fantastic with excellent talent and heavy hitting emotional drama—infidelity, lies, grief, sorrow, and a triple guillotine—my type of Opera. Sulejman Pasha Bargjini, a native feudal lord from Mullet, established the city in 1614. 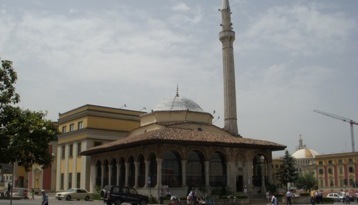 His first constructions were a mosque, a bakery and a hamam (Turkish sauna). On February 8, 1920 Tirana was made the temporary capital by the Congress of Lushnja, and it was made the permanent capital on December 31, 1925. The city is on the same parallel as Naples, Madrid and Istanbul and on the same meridian as Budapest and Krakow. The area now occupied by the city of Tirana has been populated since Paleolithic times. Following the defeat of the Axis powers at the end of World War II, a totalitarian Communist government was established, presided over by resistance leader Enver Hoxha. Albania became infamous for its isolation, not just from the market-run democracies of Western Europe, but from the Soviet Union, China, and even neighboring Yugoslavia. Even as the Iron Curtain came down and Communists lost power throughout Eastern Europe, Albania seemed intent on staying the course, alone. But in 1992, several years after the death of Hoxha, the Communist party finally relinquished power and Albania established a multi-party democracy with a coalition government. Today Albania is making progress and I would not consider the country that poor from what is said outside the country. In Bulgaria the going monthly wage in the towns is only 150 Euro, Here in Albania the going wage is about 300 Euro a month from what I have been told. Hey nice blog change, it looks great. seems different traveling slowly from other blogs I read. Next post: Kruje, Rich History and Literally all Men. Previous post: Slightly Inside the Beaches in Durres—Albania.